Rockman Unity's April Fools' day post is live and, as is tradition, could become a real product in the near future. Here it is: a Subaru Style Shooting Star Rockman 4Inch-Nel variant. The proposed figure reflects Subaru's crimson color scheme - Visualizer included! 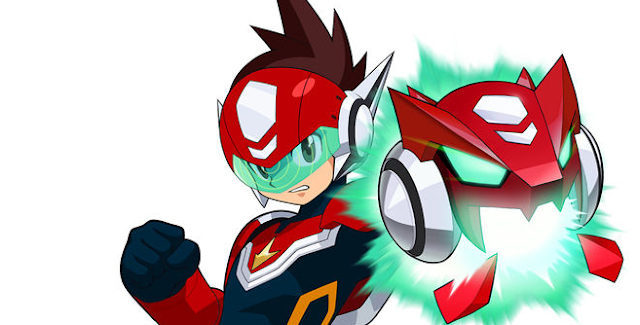 Previous Rockman Unity April Fools' jokes that became real products include Gigantic Series Roll, D-Arts Zero and Mizuno Rockman X. The Subaru variant could indeed be a real thing; however, I don't believe it will be officially "revealed" until after the normal SSR 4Inch-Nel is priced and dated. That information is still forthcoming. We'll see what happens! Stay tuned. This would be the dumbest thing ever and I'd still buy it in a heartbeat, because I love Star Force and I'm happy to see Capcom supporting it in 2017, I hope it's real. I'd take Gemini or Taurus. Zerker would also be cool. 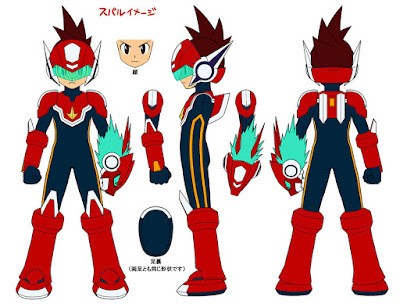 This looks nice in my opinion though, I'd buy it mostly to show support for future Star Force figures and content, I do think it's cool that Sentinel may be thinking of making variants for Geo, he definitely has the potential for some cool ones and again I'm really happy they're making a Star Force Mega Man in the first place, MMSF has been getting shafted for far too long. And we shall buy it, as is tradition. I can't stand the half helmet on this Rockman but I will say this color scheme works much better for me with this design. They weren't fooling with the Roll statue and keychains. Didn't Takara already make this deco in their Shooting Star line? Like, the interchangeable red basic armor that came with Fire Leo? Yeah, I was just about to mention this. 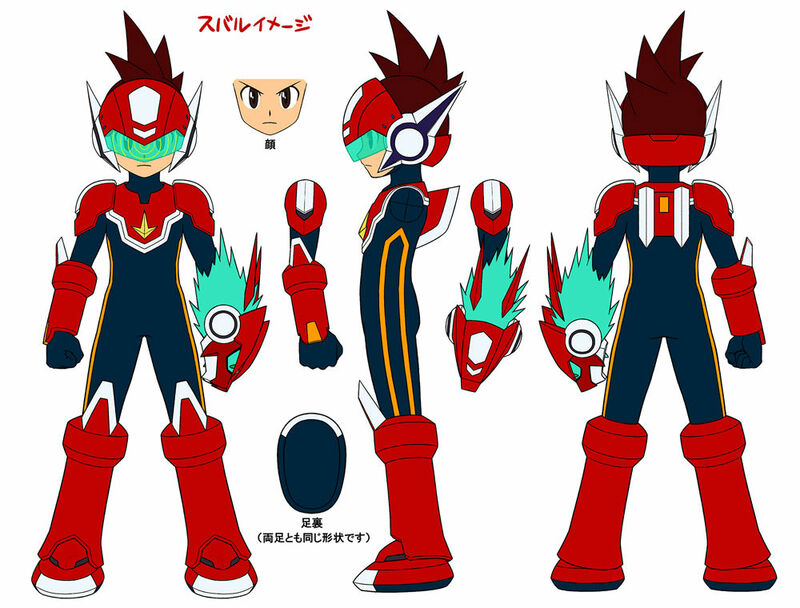 The Fire Leo figure that came out years ago had swap parts that either was a red variant of "normal" SS Rockman that basically looks a lot like this, or could swap parts to be Fire Leo. Same with a green variant for Green Dragon and a slightly lighter shade blue for Ice Pegasus. Like, the difference in blue between the actual real normal SS Rockman and Ice Pegasus swap parts version is so small you might as well not even buy the normal style SS Rockman figure if you want to just have them all in "normal" state. They're still pretty legit figures. A bit cheap looking compared to these ones, obviously, since they were originally sold as normal "for kids" action figure toys, but they're still really nice. If it's referring to Suburu the car company, I will pass. Lol, they're referring to the Japanese name for Geo, the main character. If they truly wanted to screw with peoples' emotions, they should have announced a 2nd run of Cutman/Super Megaman 2-packs. 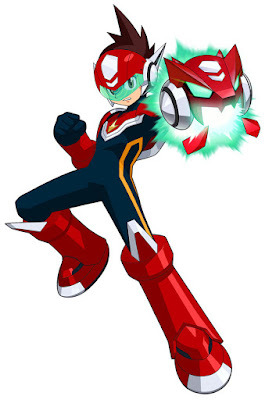 Or announced more Megaman 1 robot masters. I guess they didn't want to incur too much wrath, so they chose something that most people wouldn't care if it existed or not.